Watch any John Wayne movie and you’ll find manly characteristics that are common in each of the many roles he’s played. For one, they never complained. If they were faced with a problem they dealt with it head on. They were strong, assertive, and confident, and they dealt with others in this manner as well, never coddling or pandering or enabling weak behavior. John Wayne did this on purpose. He saw the weakness that was beginning to take command of Hollywood and of the media during his time, and he felt that it needed to be fought. He felt that certain manly values needed to be portrayed on the silver screen, and that if they were lost in the media, society would soon follow. It turns out that he was right. As manly role models began to disappear after his death, the same was true of our society – not wholly, but at least partially. Where Western’s once flourished on the silver screen and in prime time, they’ve now been replaced with gossip, vanity, and a valueless mob of programming designed to entertain, but not improve. Values are rarely portrayed in today’s leading man, rather, valuelessness pushed in the face of the viewer until they think that gossip, vanity, and cowardice are the norm. Reality TV, with it’s whore housewives, marriage for sale contest shows, and fame without merit families (hello Kardashians), has replaced the Western, and done away with the strong, honorable leading man that existed in the Rifleman, Bonanza, Rawhide, and Gunsmoke. The modern man portrayed on television is a coward who doesn’t admit his mistakes, fails to be held accountable for them, and flees from his problems at every opportunity. He has no honor, as gossip is on his tongue more than words of kindness. He’s weak, caring more about his clothes than his character. There are, however, shows that are bringing back the virtues of manliness, and they’re doing it with humor. No matter how diligent and strong-minded we are, what we surround ourselves with has an affect on us. That may mean the attitudes and words of our friends and families, but also what we choose to watch on TV. I’ve seen this time and time again in my own life, if I’m hanging out with negative people, my attitude and worldview becomes negative. If I’m hanging out with ambitious, strong people, I’m more ambitious and stronger than I am already. TV has a similar effect. If we constantly see weakness in the form of complaining, vanity, and gossip on TV, it’s going to invade into our lives. You’ll notice that even if you don’t gossip much, you’re going to become more tolerant of it (not good, it weakens who you are, and what you stand for). You’ll find it easier to start envying others, and vanity will become much more ingrained in your life. Everything in your life should make you a better man, even if that means watching a stupid, funny movie for a few laughs, or going to the gym for a workout, what you do with your life should enable you to be better, it shouldn’t weaken you. And so, we’ll look at two TV shows that will, even subliminally, make you a better man. I grew up watching Home Improvement. 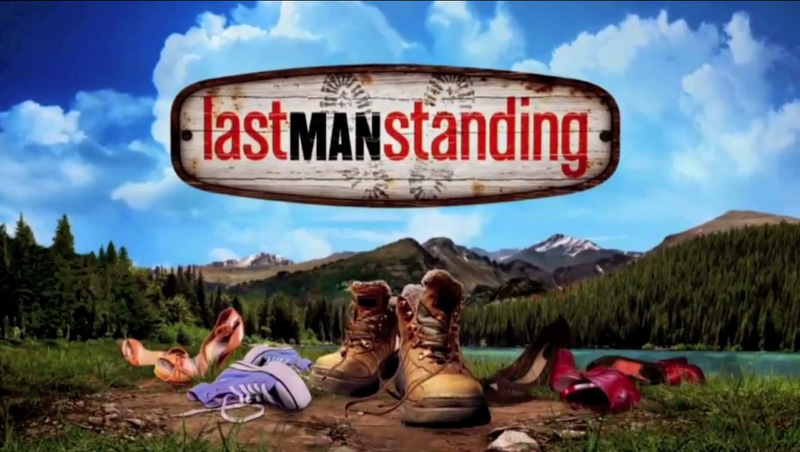 It was, along with Seinfeld, one of my favorite shows growing up, and at its head was a masculine archetype of a character that Tim Allen has now built upon with his new show, Last Man Standing. Tim Taylor, meet Mike Baxter, part owner of a hunting goods store in Denver, Colorado. He, like you, likes cars, has a lovely wife and three kids – although in this show they’re girls, not boys. He’s the head of his family. He’s built a company up from nothing through hard work and persistence, and he passes these values on to, not only his children, but the viewers of the video blog (vlog) he does for the store. How is Tim Allen Brining Back Manliness, you ask? Let’s figure that out. The theme of many of his vlogs on the show center around the personal responsibility everyone has to take care of themselves and their families, or, to be self-reliant – or at least as self-reliant as they’re able to be. Self-reliance is something that was once praised and developed in our men. Times, however, have changed. Self-entitlement has replaced self-reliance, but what good does self-entitlement do?